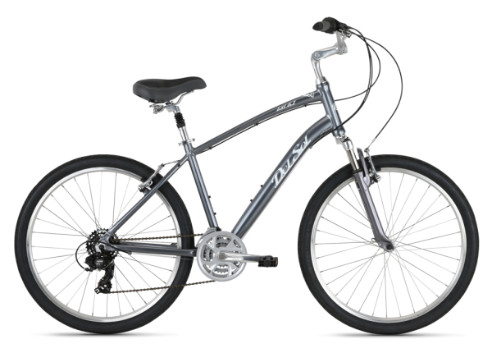 Comfortable, upright, and versatile, the 26" wheeled LXi 6.1 will handle any road with ease thanks to its Shimano 21 speed transmission and twist shifters. The heart of the 6.1’s smooth ride is its high quality 6000 series upright aluminum frame, paired with a suspension fork complete with 50mm of luxury travel. It’s all gain and no pain with the Del Sol comfort plush saddle and suspension seat post, matched to Del Sol comfort grips and adjustable stem-together they create the ultimate medley of modern day comfort.